Either during the cold winter or wet rainy days, it’s no secret that nowadays kids love to stay indoors, with a plenty of activities to do. 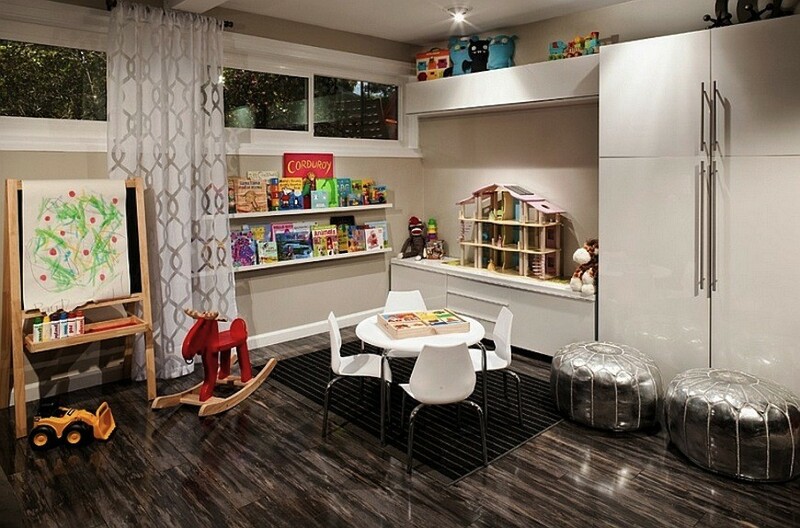 Regarding this trend, parents around the world are turning towards exclusive playrooms to implement them with a 100% kids-friendly space. 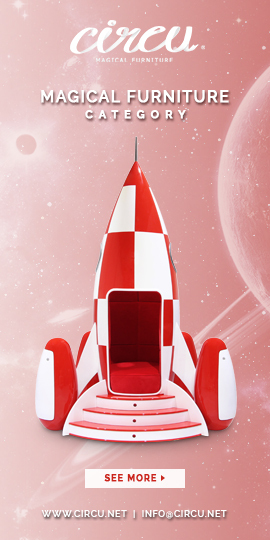 With this in mind, Kids Bedroom Ideas‘ editors have selected some clever ways to transform your basement into a cool kids play room. Check them out! 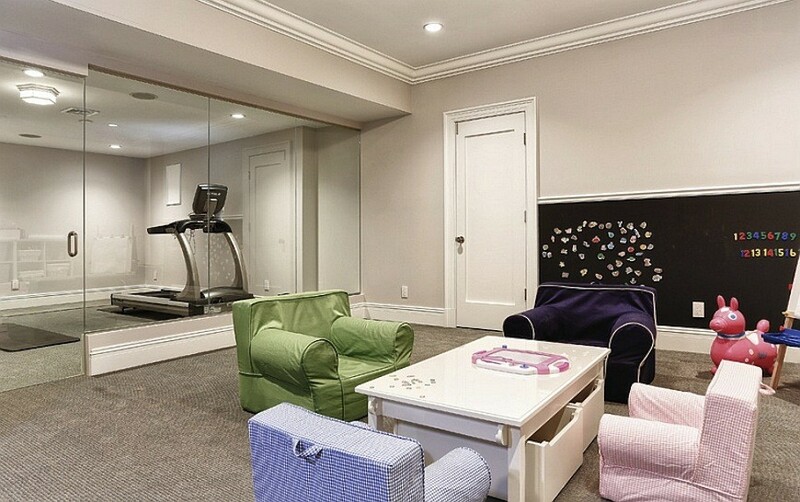 While plush seats for the kids are a given in the playroom, also add a cool ottoman or a simple couch that will allow the adults to sit comfortably in the room. 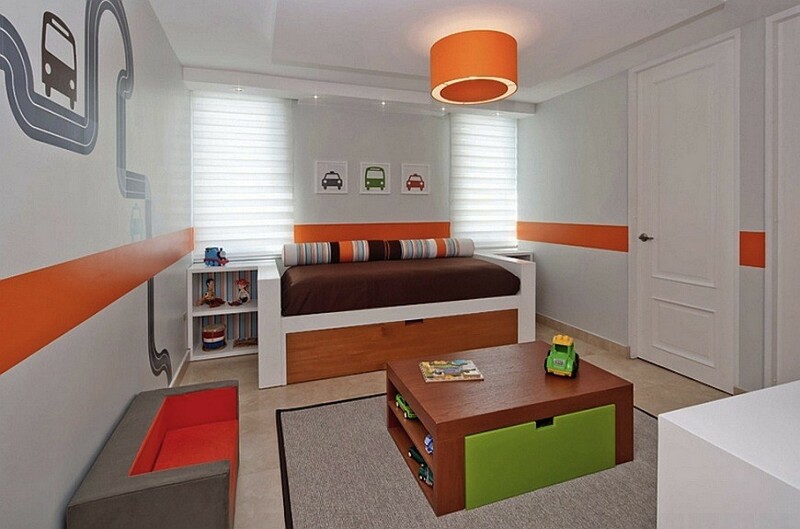 Just ensure that there is ample ambient light and your kids will keep themselves busy for endless hours! 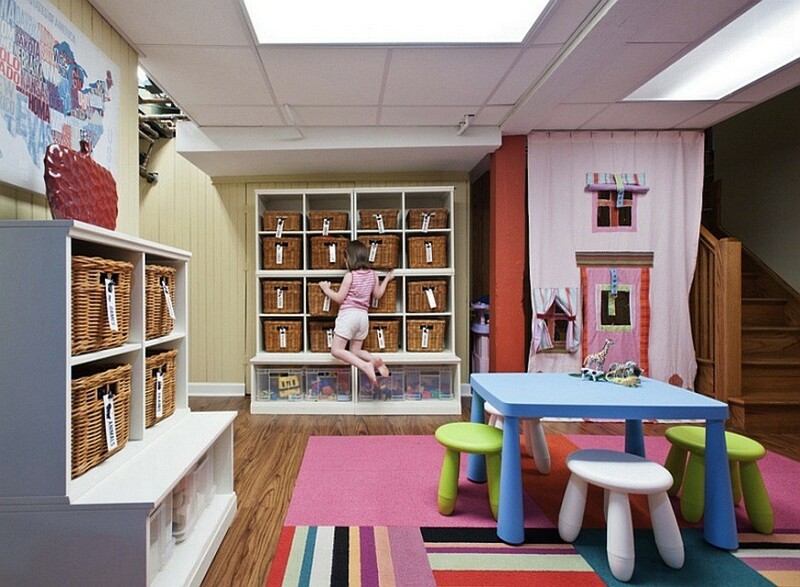 When it comes to kids’ playrooms, you can never have enough storage. Benches with hidden storage and shelves that make use of the vertical room guarantee that you also save up on space in a trendy fashion. 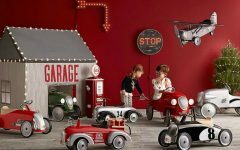 Playrooms with specific themes do look amazing, but they also come with a lack of flexibility, and within a year or two, even your little one would want a different theme. 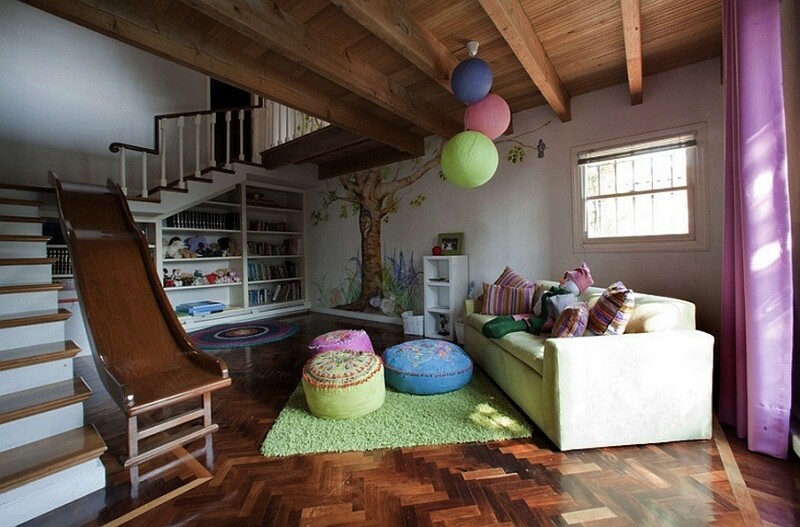 While wall-to-wall carpeting is often the preferred way to go in playrooms, consider square carpet tiles that allow you to localize and clean up any mess with ease. When it comes to the walls, think about colorful wallpapers and beautiful wall decals instead of an extensive and expensive paint job. The basement playroom is the perfect place to add a slide along with the regular staircase to make it even more fun and appealing. Unlike many of the other expensive additions. Most kids want to be around their parents as much as possible, and there is no way you are going to tie them down to the basement if you are in the kitchen upstairs all the time. 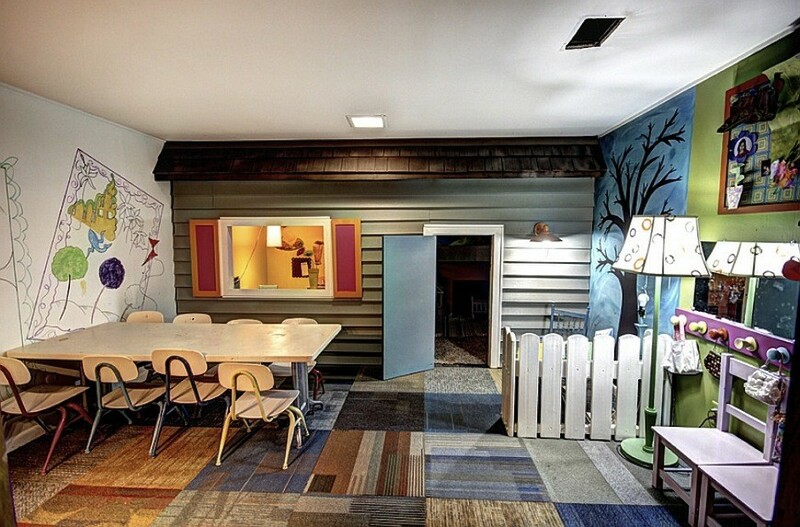 Turning the basement into a functional space is not just about the aesthetics. Most basements do require efficient insulation along with an egress window to serve as an emergency exit. Make sure there are no leakages in any of the pipes and ensure that the ceiling is completed before you start thinking about the playroom.